When your customer creates an account, they are enrolled into your Loyalty programme! The average basket size of a customer who uses a loyalty reward in a purchase is 39% higher than the basket size of a customer that doesn’t [LoyaltyLion]. How many guest customers do you have? Export your customers and look at the ‘Enrolled date’ column. If the customer has a date, they are an account holder, if they don't, they are a guest! Look at the data on your ‘Insights’ tab - how many purchases are coming from your existing customers? The higher the number, the more account holders you have. Look at the number of total customers (customers tab) and compare it to the ‘new members’ (dashboard) - remember to set the time frame to ‘all time’. If the number of guest numbers on your store is looking a little high, you might want to start enticing these customers to create accounts. How can you ensure you are enticing customers to create accounts? 1. Reward account creation highly. You should be rewarding your customers for creating an account heavily. By this, we don’t mean enough points for a reward, but at least half way there. Eg. if your first reward is set to 500 points, reward account creation around 250 points. Success Tip: try to ensure that all non transactional activities (activities that can be completed without a purchase or a referral) add up to a point value of just under your first reward. 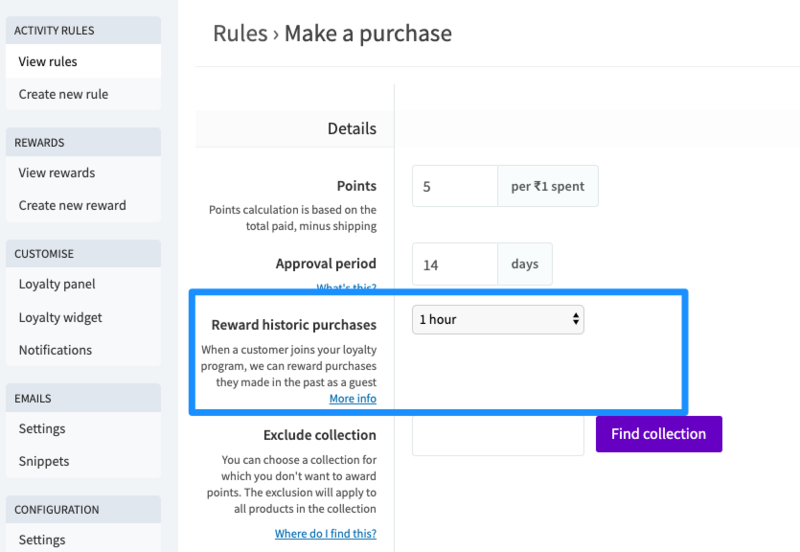 This means that your customers will be able to claim a reward on their second purchase and are driven back to your store! Ensure that your Loyalty programme can be seen by your customers. Customise the look and wording to be as on brand and as eye catching as possible to prospective customers. Our article - 6 ways to promote your Loyalty Programme - goes into this in a bit more detail. Success Tip: remember to enable your notifications to drive the behaviour you want from your customers. You can use this to entice your guest customers back to create an account after they have made their first purchase by informing them that they can claim their points if they create an account. 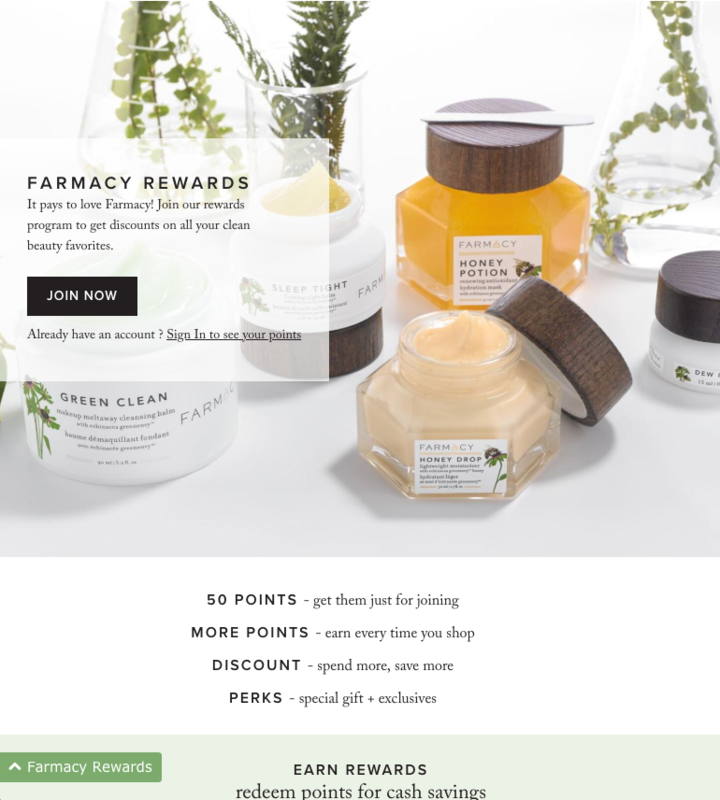 A shorter time frame is ideal as it creates urgency - you'd need to have a post purchase email strategy in place to drive your customers back to your store to claim their points. A longer time frame give you time to engage your customer and gives them more opportunities to create an account and earn their points. 4. Engage your guest customers via email. You should have access to your guest customers email address in your customer export. This will allow you to send out emails occasionally promoting your brands, new offers and your Loyalty programme. A great way to do this is to set up double points account creation period and send email blast to your guests.